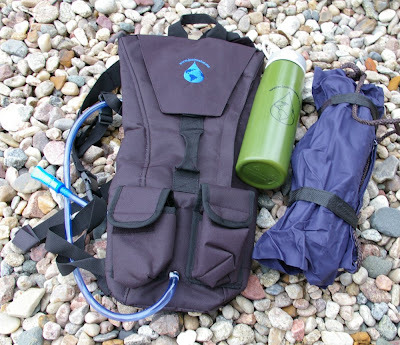 A while ago I tested and reviewed the affordable and inexpensive Just Water Bucket filtration kit and was so impressed, I picked up a few more of their other water filter products including the Water Filter Backpack, Water Filter Bottle, and the Water Filter Bag. Just Water proves again with these products via with their independent testing that it is the quality of the filter that is responsible for water quality and now how expensive the container is. Unlike the Just Water bucket based filter kit, these three products offer more style and features for everyday use in three convenient forms all while delivering water quality far above municipal water suppliers even from flood, ponds, streams, or, as Just Water puts it, from the muck of the turbid of water sources. From the outside the $19.95 Just Water Filter Bottle looks just like any other sports bottle and holds the standard 1L capacity, and for the most part functions just like a standard flip and sip style sports bottle. At 7.2oz, it does feel heavier which the majority of the weight attributable to the large ceramic candle filter. 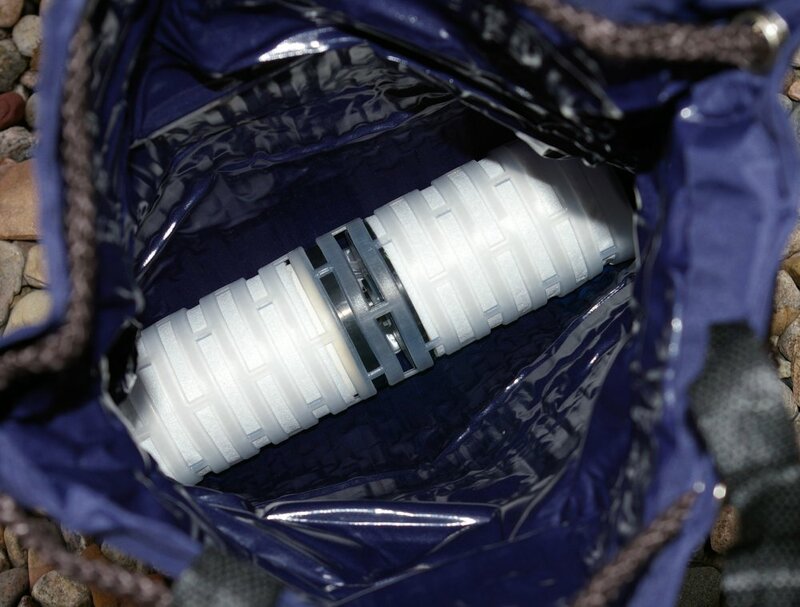 This 2” filter is huge by comparison to any other water bottle filter and also retains all the commercial grade abilities of the larger 4” candle filter used in the Just Water Bucket system. 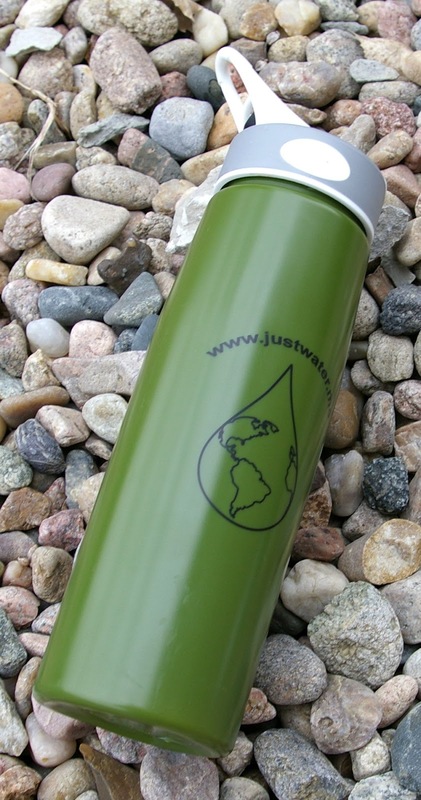 Most filter bottles are not rated to filter open water from streams, ponds, and/or even flood water, however the Just Water Filter Bottle will filter nearly any sensible open water source. Pre-filtering will extend the life of your ceramic filter, so it is good to carry a couple standard coffee filters to pre-filter open water sources. Because the filter is larger the Just Water Filter Bottle is also significantly easier to sip from than other filter bottles. As with all Just Water filters they recommend a 6-8 month life of the flavor reducing components once activated, however the ceramic water impurity filter will last indefinitely with routine maintenance and proper pre-filtering. 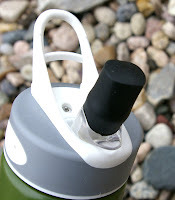 For most users the Just Water Filter Bottle will last 200 refills or significantly more dependant on the water quality. This is a simple solution which provides true survival commercial grade water filtration in a simple and light everyday package. 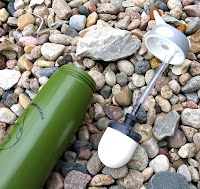 The $43.95 Just Water Filter Backpack shares the exact same ceramic dome candle filter as the Just Water Filter Bottle. 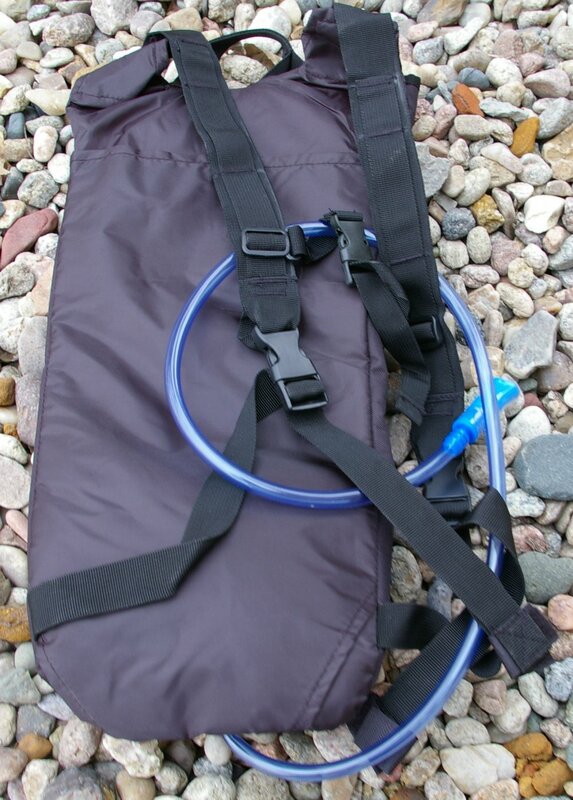 The only difference in spec potentially being a slightly higher flow rate because of 3L bladder capacity and gravity feed design of the backpack. 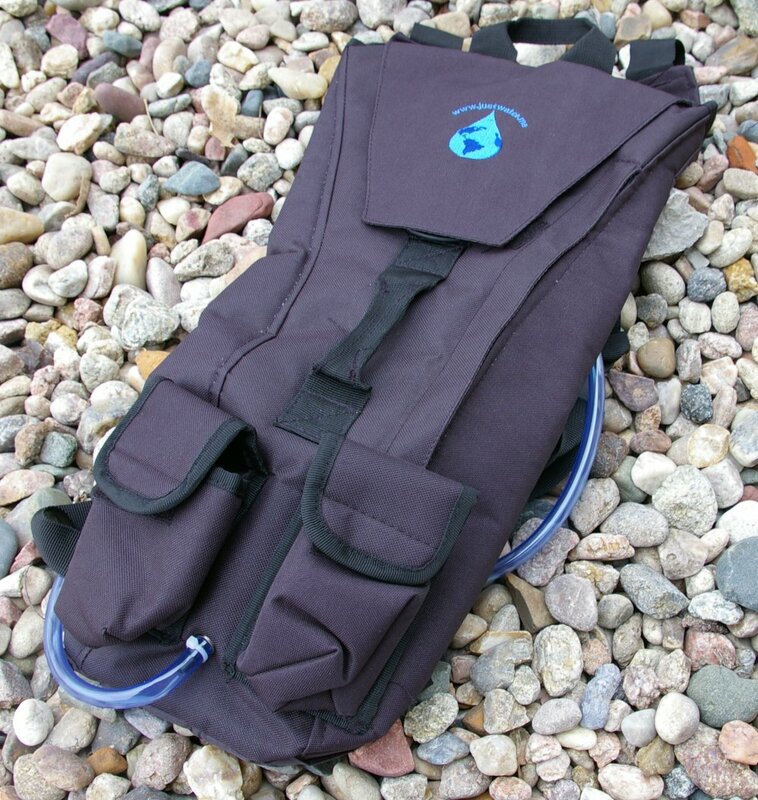 The pack is designed as a hydration pack made from high quality nylon and features top and center loops to aid handling during filling. A full length map storage pocket slot is along the bag and provides a good place to store extra coffee filter for pre-filtering. 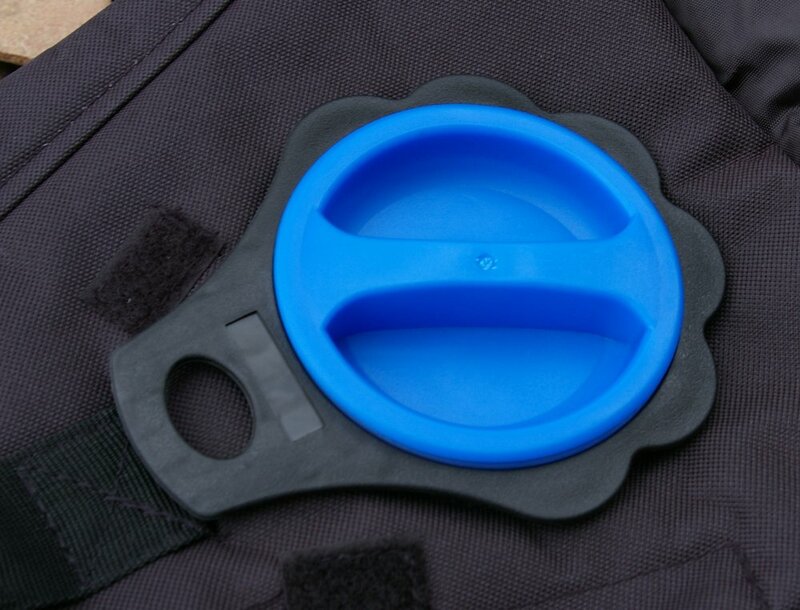 Filling is easy thanks to the huge filling cap hidden under the top flap which also provides you with access to replace the 2” filter. Velcro holds the flap down and in place when on the trail. The Just Water Filter Backpack is well designed to negate the need to remove the bladder in all but the most thorough of cleanings. If you do decide to toss the back in the washer and pull the bladder for a complete cleaning, that requires a fairly simple process of removing the black bladder/pack lock ring surrounding the filling hole. 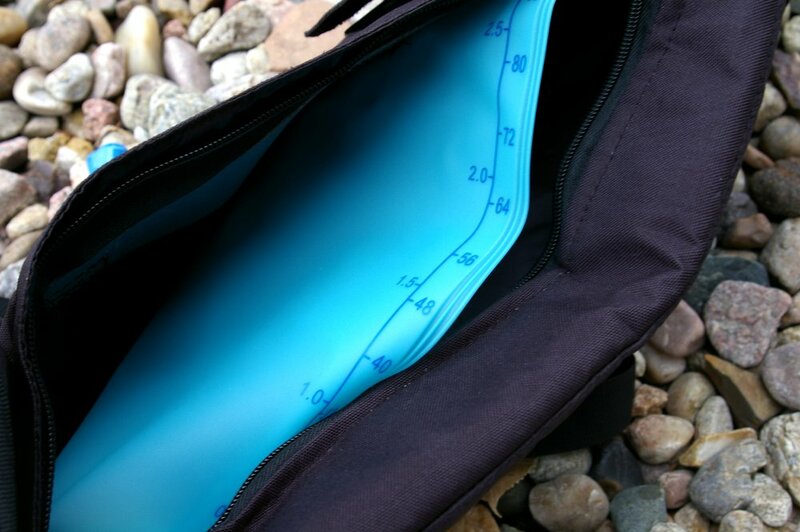 The inside bladder pouch can be also accessed via a ¾ length zipper along the pack’s left side. The rest of the pack is similar to standard hydration packs with a “BiteMe” style valve and anti-microbial tubing. For those extra trail bars, two velcro flapped pouches are on the back. The pouches work, but one large zippered pouch would have been a better choice in my opinion. For survival or just hiking in areas with questionable water, this pack could be worth it’s weight in gold. Ever started out a great hike only to realize 60 minutes later the park water was not potable... let me tell you this is a better option than what I went through. The Just Water Bottle is great for everyday, the Water Filter Backpack for hiking and outdoor activities, but if you need to set up a base camp with a higher volume of water for the team, you need the Just Water Bag Filter. Just Water uses a high rate ceramic filter with the same filtering specs as all their other filter products which nets up to 120 Gallons a day if the water bag is kept full. 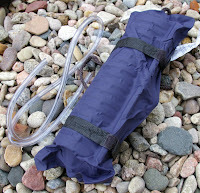 Hang the Water Bag Filter from any immovable object and fill with any sensible water source and let gravity do the work. The impurity and flavor filters will work continuous for 6-8 months and even then the impurity filter will continue to work, but at a slower rate. 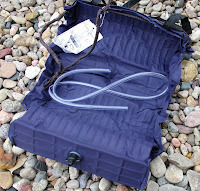 This is a great option as a high volume mobile water filter and a deal at only $45.95. 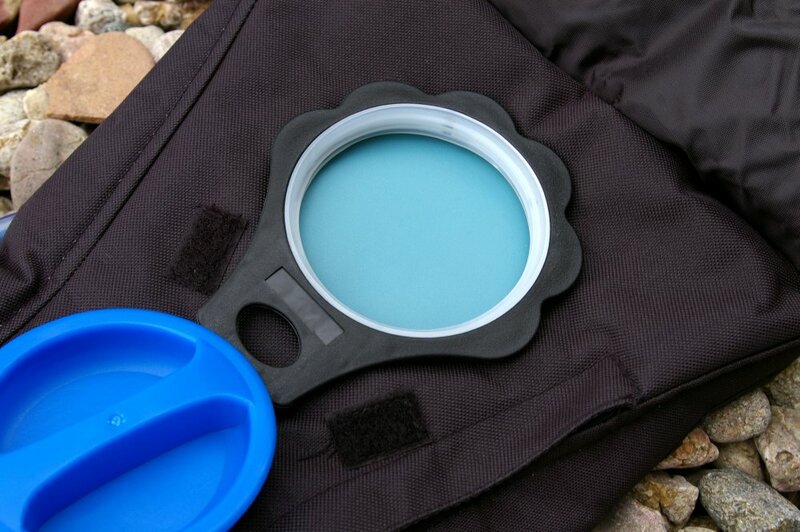 Definitely a filter I have in my base camp kit and when you are done roll it up and you are on your way. You can spend a boatload more on a stainless or a bunch of gadgetry, however this works every day, every time without batteries, and will continue to produce safe drinkable water even after the expiration of the flavor reducing filter effects. Just Water does all this with every water filter product they sell all being below $50. Folks this is the water purification deal on the market. I suggest you pick up the entire line up, because if there is one thing I know about us humans, we need a constant supply of fresh water. Once in use, flavor improving components of the filter will last 6-8 months or longer depending on water quality. The ceramic water impurity filter will last indefinitely with routine maintenance. Do you know if the bag has replaceable filters and if so what size they are? Thanks awesome read! The backpack does, but the bag filter does not.